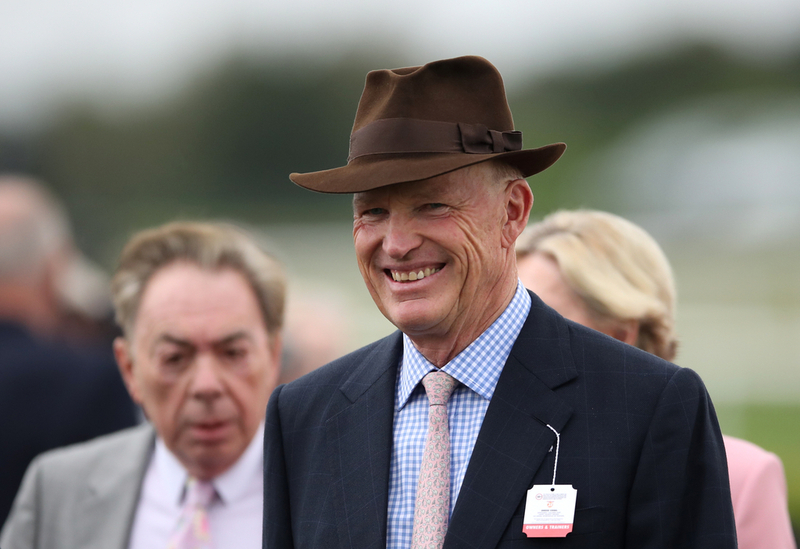 Champion Trainer John Gosden discussed his plans for some of his stable stars and outlined what races we can expect to see them in, as the new British flat season dawns this Saturday with the Lincoln Handicap. (Credit: Racing Post) Gosden said: "He's on course for the 2,000 Guineas and he'll be trialling all being well in the Greenham Stakes at Newbury. "Frankie was pleased with him when he sat back on him for the first time the other day in a piece of work on the Al Bahathri. "He's thickened out over winter and is a horse with a nice turn of foot, so we'll have to see where we go trip wise with him later on. "The owners have kindly bought him a lead horse named Whitlock, who has the option of leading him in his races later on in the year." (Credit: Racing Post) Gosden said: "He's is in good form with himself. "He's coming back from an injury and he hasn't run since last June, so you can't just rush forward, you have to go very diligently. "He did his first half-speed on Saturday, but I'm not going to set a date for him because that's wrong for a horse coming back. "He'll tell me when he's ready, whether it's the end of April or straight into May – we'll have to see." (Credit: Racing Post) Gosden said: "It's interesting the top three horses in world are females: Winx, Almond Eye and Enable. "She's had a good winter and is big and strong. She was trotting a lot in the off season but she got bored with that, so she is now back out cantering and is loving her exercise – and all roads lead to Paris on the first Sunday in October. "We'll be looking at the Coronation Cup at Epsom, which is early June, and there was no point rushing her back as there was nothing for her unless you wanted to work her in February, which we didn't." (Credit: Racing Post) Gosden said: "She’ll probably head to the Middleton at York and we might then go for the Pretty Polly at the Curragh. "She’s a big girl, totally different to her brother as he’s got a ton of speed and she’s got middle distance written all over her. "She was very green in the St Leger – she kept looking around – and she only got rolling in the last furlong and it’s not often you run out of real estate in a race like that." (Credit: Racing Post) Gosden said: "He won nicely on his debut at Chelmsford but he's a big boy who has taken a bit of time to come forward. "He worked nicely last weekend, however, and we may well start him back over a mile and a quarter at the Craven meeting. "He's eligible to run in a new novice there for horses who have run only once, which is an interesting move. "We don't wind them up first time so it was impressive the way he did it on his debut." Craven Stakes, 2000 Guineas, Epsom Derby..
(Credit: Racing Post) Gosden said: "He's out in Dubai and is set to take on the Japanese star Almond Eye in the Group 1 Dubai Turf on Saturday. "He cantered on the training track this morning and I'm confident a mile and a furlong and a mile and two will be his trip this year. "He's in great order and we took him for a racecourse gallop to Chelmsford the other day. "We had hoped to take Weekender out to Meydan too for the Dubai Gold Cup, but he cut his leg. "Maybe we can take him to the Sagaro Stakes at Ascot instead." (Credit: Racing Post) Gosden said: "Plan A was the Group 1 Sheema Classic in Dubai next weekend, but his blood wasn't right, so we decided against it. "All being well he'll revert to plan B, which is the Easter Classic at Lingfield on Good Friday. "He seems to like it around there in winning two Listed races and then the Group 3 Winter Derby itself. "As a son of Tapit, later in the year he could wind up running in the US as some of his other family members have."